Did you know that there’s a hormone that can help protect your skin from the sun and reverse signs of aging at the same time? Unfortunately, most people don’t realize this hormone can affect their skin at all. But there’s some powerful new research that gives us more reasons to take this hormone for our skin. As you may know, melatonin is a fantastic sleep aid. It’s a hormone your brain makes in the pineal gland. This gland secretes it according to light patterns and our circadian rhythms. Its interaction with circadian rhythms are what allow it to help us sleep better. Sometimes the brain needs help figuring out that it’s time to sleep. Melatonin can help give it the signal the brain needs to wind down. Inside the body, melatonin has a number of other important functions beyond contributing to sleep. It helps your immune system function properly. It helps to regulate body weight and reproduction. It has anti-cancer effects and reducing the side effects of chemotherapy. And thanks to how it affects your sleep-wake cycles, it can even help you fight jet lag. But it turns out that the brain isn’t the only place our bodies make melatonin. Our skin cells can actually make it too. And they can definitely put it to work. Melatonin may soothe the brain, but it’s also a powerful antioxidant. So its presence in the skin cells makes it uniquely suited to help fight damage from UV radiation. You certainly know that not getting enough sleep can make you look and feel older than you are. But melatonin’s anti-aging effects extend beyond helping you get your beauty rest. Its antioxidant effects are definitely a big part of that. Oxidative stress can break down collagen and cause inflammation. Because of its chemical structure, melatonin can neutralize a variety of free radical forms. And in response to UV radiation, melatonin produces more antioxidants. The metabolites of other antioxidants can often produce more oxidative stress. Melatonin does the opposite. Plus, melatonin makes other antioxidative enzymes work more effectively, particularly in response to stress. These effects combine to make melatonin particularly suited to protecting the skin from UV damage. Studies have found that administering melatonin prior to UV exposure offers protection to the skin. In one study, researchers exposed fibroblasts (cells that make collagen) to UV radiation. Melatonin increased cell viability and decreased apoptosis (cell death). In fact, the survival rate went from 56% to 92.5% when the researchers exposed the cells to melatonin prior to UV radiation. Melatonin also protects collagen by keeping genes from carrying out photodamage in response to UV rays. And it supports mitochondria, the “engines” of the cells, so the cells can keep functioning properly – especially those that make collagen. One study of humans enlisted 20 healthy participants. They received either topical melatonin or a placebo either before or after UV exposure. The researchers assessed sunburn on the participants’ skin after exposure. Interestingly, only those who received the melatonin prior to exposure experienced any benefit. Obviously, the placebo offered no protection. But applying melatonin after the exposure was too late. This is likely because UV rays create free radicals immediately, which start causing stress and wreaking havoc right away. 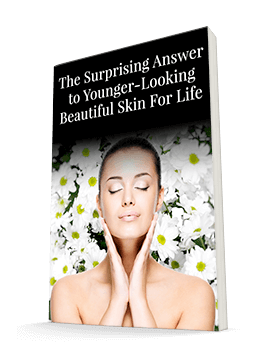 In particular, they can break down collagen, leading to wrinkles and sagging. And your immune system has to mount an inflammatory response as soon as it detects the threat. If you wait until a couple hours have passed to apply melatonin, the damage has already occurred. But if you have melatonin in place, its free radical scavengers can get to work immediately to stop oxidative stress in its tracks. In fact, it works even better than vitamin C or a form of vitamin E to neutralize free radicals. If you spend a lot of time getting exposed to UV rays, you may want to add melatonin to your arsenal. It’s not a replacement for sunscreen! But it could give your skin some extra antioxidant support. Many people use melatonin supplements to help them sleep. But taking melatonin in pill form won’t do much for your skin. Applying it topically is the best way to go for skin protection. Some dermatologists that recommend melatonin encourage patients to use it at night. If you do that, it syncs right up with your skin’s natural repair rhythms. But topical application won’t make you sleepy. So if you’d rather use it during the day, that’s ok too. One possible downside of topical melatonin is that it can activate the melanocytes in your skin. Melanocytes are responsible for creating pigment. So melatonin can end up darkening your skin. 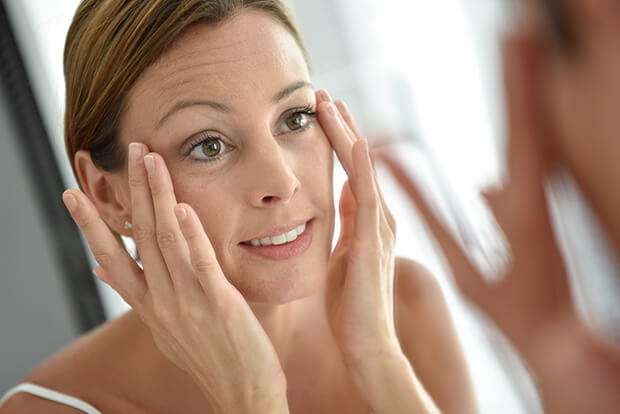 If you’re using products to brighten your skin or fade age spots, melatonin can cancel out your efforts. So if you have an issue with uneven pigment, you are better off not applying topical melatonin. For those of you with uneven pigment and/or brown spots, I recommend a robust Vitamin C serum. If you do decide to apply melatonin topically, you can even put a little on your scalp. Some research has found that melatonin can increase the hair’s growth phase. This could be a good solution for those whose hair is starting to thin. And no, it won’t make your hair darker, but the Chinese herb Fo-ti will. Keep an eye out for more information about melatonin in the future, too. Researchers are just starting to investigate its potential for regenerating cells and tissues. This could mean more good things for your skin. Of course, if you haven’t been sleeping well, you can start with using melatonin supplements to help you get improved rest. Try 3 mg half an hour before you’d like to be in bed. It can help you get your beauty rest. That might be all your skin needs to look radiant! But if your wrinkles aren’t magically disappearing while you sleep, topical melatonin may be able to help smooth them away too.